the location for the bookstore is one of Lexington’s oldest strip malls, located in the Meadowthorpe neighborhood. There is absolutely no actual stand-alone signage leading up to the mall, so this is 100% fictitious. 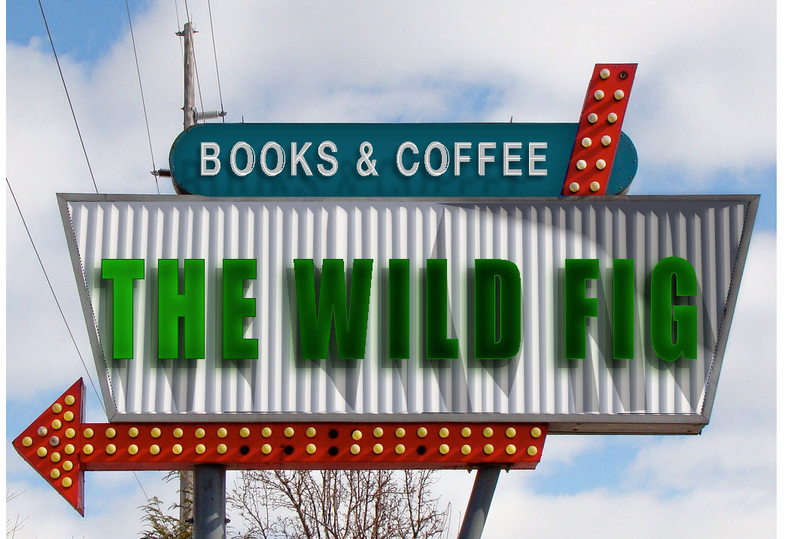 It did generate debate adding to word-of-mouth advertising for The Wild Fig.